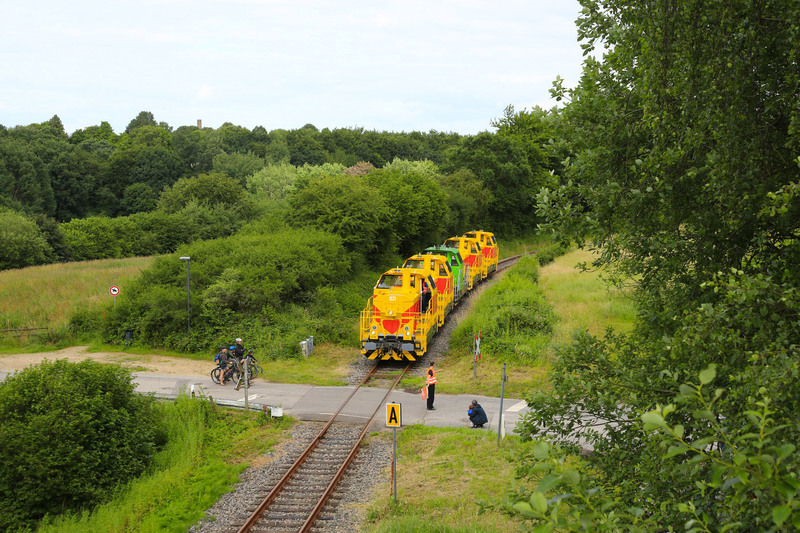 A colorful parade took place over the weekend: On 02.07.2017, four G6 locomotives built by Vossloh were transported from Kiel (factory) to Moers, where some customer specific adjustments will be made to the yellow-red shunters before they will be handed over to ThyssenKrupp Steel Europe AG (TKSE). 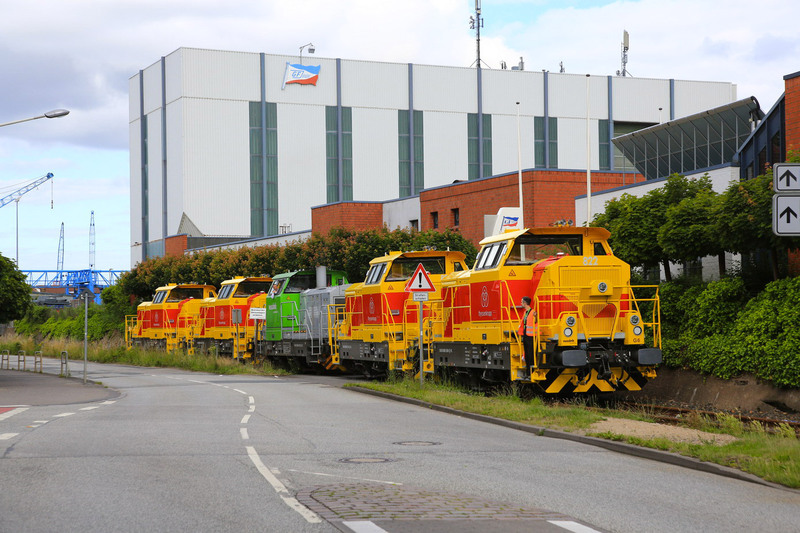 TKSE already has experience with the Vossloh G6. Since 2013 several stock locomotives have been hired from the manufacturer. The three axle G6 is the most successful Vossloh product of the past years. Over 100 units have been sold, mostly to operators of heavy industry railway networks in Germany, such as Verkehrsbetriebe Peine-Salzgitter and BASF. 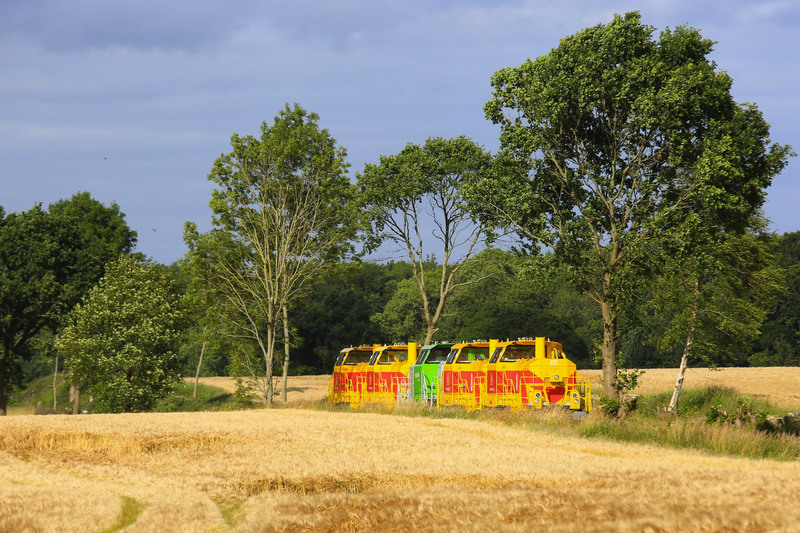 And yes indeed, Vossloh (MaK) locomotives and this typical yellow-red livery go way back. Over the past decades G 1205 / G 1206 / G 1206-2 type locomotives have been delivered in this color scheme to TKSE and its predecessor companies. Also MaK DE 501 and G 765 type machines got repainted in this livery.